For the last couple of years Hifi Pig has attended the excellent Audio Video Show in Warsaw, Poland and we will be there again this year. This year Audio video Show Warsaw celebrates its 22nd year. Read more about what you can expect to see and hear this year and why we love the show so much. The show really is excellent, taking part between the Radison Blu Sobieski and Golden Tulip hotels and also in the luxurious sky-boxes at the Polish National Stadium with a free coach to ferry visitors between the locations running all day, every day. The Warsaw Show in 2018 boasts 170 companies taking part and promises to be better than ever – it’s probably our favourite show on the continent with trade and press travelling from all over the World to attend. Visitors are always very enthusiastic and extremely knowledgeable about their music and the city is wonderful. The Audio Video Show Warsaw 2018 takes place November 16th, 17th and 18th with doors opening at Noon on the Friday and 10am on the Saturday and Sunday. Tickets are PLN 35 per day which includes a lovely 64 page guide to the show, though you can get a full weekend pass for PLN 50 and visitors under 16 get in for free. In addition, by selecting interesting presentations and seminars, users gain access to the reminder function, which with the help of push messages, reminds them about upcoming events at the show. Now that is a nifty addition to any show. The most expensive amplifier in the world, Pivetta Opera Only. The most expensive headphones in the world, Sennheiser Orpheus. Avantgarde Acoustic Trio XD horn loudspeakers. 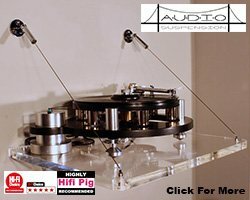 The most expensive turntable in the world, the Trasrotor Artus. 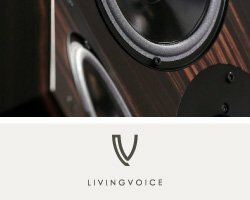 The World premiere of Sonus Faber’s new flagship loudspeaker. The Naim Statement pre and power amplifier combination. The Pacific DAC from Polish legend Lampizator. The wonderfully looking and sounding kit from Metaxas and Sins. The Polish premiere of Paradigm Persona 9H loudspeakers. The World Premiere of the Nagra HD preamplifier. The Polish premiere of the the DaVinciAudio Labs flagship turntable, AAS Gabriel Mk 2. Magicos S3 Mk 2 loudspeakers. Wilson Benesch and their flagship Resolution loudspeakers. The Helix 1 turntable playing through a full Thrax system. The premiere of the Lumen White Kyara loudspeakers using Ayon tube electronics. The MBL 116F omnidirectional loudspeakers. SoulSonics incredible Hologramm X loudspeakers. 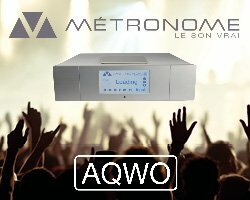 In fact there is absolutely loads more to visit the show for including brands to suit less high-end tastes such as Taga Harmony, Q Acoustics and many many more. Hifi Shows – Hifi Pig’s Full Coverage Of The Audio Video Show Warsaw 2017 A Bird’s Eye Review Of 2017 The Hifi Show, Scalford 2013 Show Report by Jerry High End Munich 2018 – The Countdown Begins!